Product Detials: Battery Capacity:1500mAh Battery Voltage: 21.6 V Battery Type: Li-.. Product Details: Battery Capacity: 3.5AH Battery Voltage: 14.4 V Battery Type: Ni-.. Product Details: Capacity: 3000mAh / 54.0Wh Voltage: 18.0V Condition: Brand New .. Product Details: Voltage: 14.4V Capacity: 2000mAh Condition: Brand New Compa.. Product Details: Voltage: 14.4V Capacity: 2000mAh Condition: Brand New Compatible .. 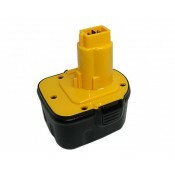 Product Details: Voltage: 14.4V Condition: Brand New Compatible Part Number: .. This 18-Volt lithium-ion battery provides 3 Amp/hr and weighs less than Ni-Cd or Ni-Mh batterie..